The Indian Air Force (IAF), one of the leading Air Forces in the world, is struggling to get rid of its near obsolescent aircraft which populate almost half of its fighter squadrons. This has been the situation since almost two decades and things can not be allowed to get worse. 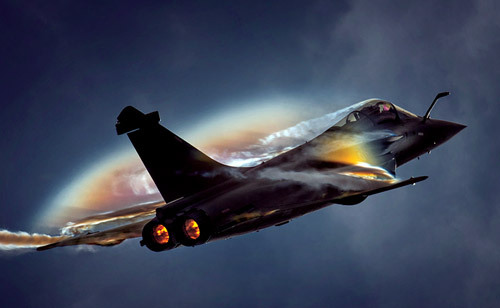 The IAF began the search for replacement for its ageing Russian fleet at the turn of the millennium and the only success story since then, has been the signing of a contract for 36 Rafale jets from France. Things in other areas are no better. Some of the major programmes that are lagging years behind are discussed below. It has been seven years since the IAF started looking for an aircraft to replace its fleet of 56 vintage medium-lift turboprop transport aircraft procured initially from the United Kingdom and then built under licence in India. In 2012, the Ministry of Defence (MoD) accorded Acceptance of Necessity (AoN) to the replacement programme through ‘Buy & Make’ route. Out of the 56 new aircraft to be acquired, 16 will be received in flyaway condition and 40 will be assembled in India by an Indian Production Agency (IPA) from the private sector. The Original Equipment Manufacturer (OEM) is to select the IPA. 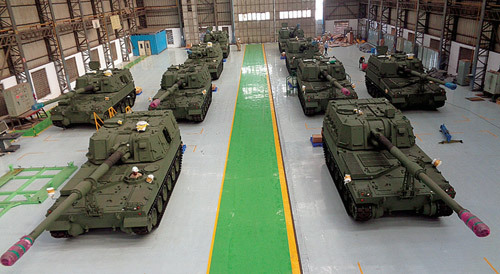 In 2013, Request for Proposal (RFP) for the project was issued to eight foreign OEMs. In response to the RFP, only Airbus, in association with the Tata Group, submitted a techno-commercial bid offering its C295 medium-lift transport aircraft and an Independent Committee was constituted to look into various issues related to the single vendor situation. The project was nearly shelved when the defence public sector opposed the project being given to private sector. It was revived by the NDA government in 2014 and in 2015, the MoD cleared the 12,000 crore project. After exhaustive user trials carried during the next two years, the contract negotiation committee began the negotiations with the OEM in 2017. The six Russian IL-78, inducted in 2003-04, fulfills the IAFs mid-air refueling requirements. The first attempt to acquire another six tanker aircraft was made in 2006. The last two attempts failed due to certain reservations related with cost of the aircraft. The Airbus A330 MRTT, IL-78 and Boeing KC-46A Pegasus are the main probable contenders for the requirement. In January this year, the IAF restarted its project for purchase of six mid-air refueling aircraft. After two similar attempts, the third RFI was released for the $2 billion deal. The ageing fleets of Chetak and Cheetah helicopters were to be replaced by 197 light helicopters purchased from international vendors. Of these, 64 were to come to the IAF. The RFP was first floated in 2008 and again in 2009 as the Reconnaissance and Surveillance Helicopter. Eurocopter AS 550 C3 Fennec and Russian Kamov Ka-226 were the final contenders. However, the tender was cancelled and replaced by a government-to-government deal with Russia signed at the end of 2015 for 200 Ka-226T helicopters to be manufactured in India. The Shareholders Agreement for the establishment of a Joint Venture to manufacture Ka-226T helicopters in India was also signed in 2016. The project will be executed through a joint venture between HAL (50.5 per cent) and Russian Helicopters. The JV agreement is expected to be signed sometime this year. Early in 2017, Prime Minister Narendra Modi laid the foundation stone for a new helicopter manufacturing facility for HAL in Tumakaru, located 70 km North-West of Bangaluru in Karnataka as a step in HAL’s expansion of its helicopter production capability. However, there are no signs of the project reacting to the critical shortage of Chetak/Cheetah helicopters with the sense of urgency it deserves and it will be years before this facility produces its first Ka-226T. Moreover, there is some apprehension on account of the fact that the Ka-226T has not been tried and tested over prolonged operations in a Siachen-like environment although it did meet the conditions it needed to for qualification for the Indian military. Out of 200 helicopters, 40 will come from Russia and 60 will be assembled in India. The rest will be manufactured in India. In 2007, the IAF came up with a RFP for 126 medium multi-role combat aircraft (MMRCA) which saw enthusiastic participation from some of the world’s leading manufacturers of combat aircraft and was called ‘mother of all deals’. The RFI for the project was first sent out in 2004 to global OEMs. In 2016, the IAF initiated a process to acquire around 100 single-engine combat aircraft which saw response from Swedish Saab offering Gripen E and American Lockheed Martin (LM) offering F-16 block 70. 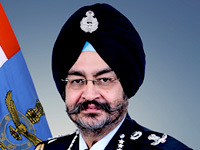 But the process which appeared to solve the problem in minimum time with substantial cost saving as both the contenders offered to manufacture the aircraft in India with significant technology transfer, did not go further as the government failed to put aside the demands for including twin-engine fighters in the requirement. Now, it appears that the things have come back to where they were in 2007. 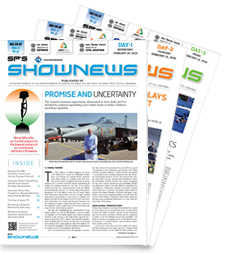 If and when the RFI comes, most probably the contenders will be none other than the MMRCA bidders, barring one or two new entrant such as LM’s F-35 and the Russian Su-35; at this point of time (notwithstanding some of the reports and sentiments indicate that India is showing interest in F-35). The Anglo-French fleet of the Sepecat Jaguar deep penetration strike aircraft of the IAF is one of its primary strike aircraft in the combat fleet. Out of the fleet of 140 aircraft acquired initially, currently around 125 remain in service. Inducted into the IAF some four decades back, it has undergone multiple upgrades in its avionics and weapons, keeping it relevant in its role for the IAF. However, the most important component of the aircraft, its engine, is yet to be upgraded. The aircraft, fitted with two Rolls-Royce’s Adour Mk 811 turbofan engines, is underpowered and hence to improve its flight envelop which could allow it to operate in high operating environment such as in the mountains, a more powerful engine is required. On November 26, 2010, the MoD issued a Request for Proposal (RFP) to two of the leading engine manufacturers, Rolls-Royce the original power plant provider and to the American engine manufacturer Honeywell for its F125IN engine. In response to the tender, Rolls-Royce initially offered the Adour Mk 821, an upgraded version of the existing engine Adour Mk 811, which delivers higher thrust. However, Rolls-Royce withdrew from the creating a single vendor situation on account of which the RFP was withdrawn in 2011. In the meantime, as the Jaguar spares production lines are closing downm, India is procuring 31 decommissioned Jaguar’s from France for spares to keep the existing fleet flying. India’s search for a fifth-generation fighter aircraft (FGFA) began, when an agreement for an Indo-Russian collaboration project to develop the FGFA was signed during the visit of Russian President Vladimir Putin in 2007. It was estimated that the project would need an investment of around $6 billion with both nations sharing equal amount of work. The project was likely to take 10 years. In December 2010, the state-owned Hindustan Aeronautics Limited (HAL) and Russian companies Rosoboronexport and Sukhoi signed a memorandum of understanding for the preliminary design work for the aircraft. India was required to invest $295 million in the programme. The preliminary design work phase was ready by 2013. Things have not moved beyond this. In December 2014, it was for the first time that the IAF appraised the MoD about the inadequacies in the proposed FGFA on account of which it did not consider the platform suitable for induction. Reportedly, IAF is not ready to accept the aircraft.